I can’t answer that question myself but I can ask three women who are breaking down gender boundaries by making a name for themselves in SA’s dance scene. Soulsista is certainly one of the most well-established female DJ/producers Mzansi has to offer. She moved to Ayia Napa in Cyprus in 2001 and with her self-taught mixing skills she started off playing at parties around the beach. She was soon playing around Cyprus’s best beach bars and clubs. Soulsista is well-known for transforming the stores of Levi’s South Africa into a dance floor. On her return to South Africa, she owned Metro FM’s 9pm-10pm slot with the Friday Night grooves with SoulSista. 2004 saw her release of her debut compilation album titled Music Is My High. Soulsista is well known for transforming the stores of Levi’s South Africa into a dance floor with compilation mixes she did for the brand. Having spent over a decade in the dance scene she has played the Oppikoppi Festival and the official Jamiroquai afterparty at Delicious Festival. Having played at so many events all over the world, what experiences have you gained or lessons have you learnt that have been significant to your success thus far? If I were to summarise my life lessons over the years, I’ve found I do some of my best thinking when I’m travelling. Over time, I’ve come to realise the power of my mind and my thoughts. My thoughts really become me. There is some inexplicable magic in prayer. Life has repeatedly reflected back at me the energy I have given to the world. For me the importance of having clarity of thought, is crucial which leads to clarity in action, which ultimately leads to high-quality life decisions. Set high goals. Work with people who share your passion. Look at each day as a new opportunity to be your very best. Set high goals. Work with people who share your passion. I am very self-motivated, determined and honest. I really love what I do and I try to surround myself with people who share similar passions. Doing gigs all over the world, it’s such a blessing and I do not take it for granted. We have often seen your posts referencing Mexico, please tell us more about that. Have you moved there or just go often because of the music? When you turn your life into a journey filled with uncertainty, you grow up in unexpected ways so now I am living in Mexico. I have been here for a few months and I am recording my studio album. From the moment you decide to move abroad, your life turns into a powerful mix of emotions – learning a new language, improvising, dealing with the unexpected, facing new challenges, you get to know parts of you, you didn’t know existed. You do feel homesick at times. You learn, you broaden your horizons. You unlearn and after coming down and embracing a few lessons, you start growing in humility. You evolve. You do feel homesick at times and you shape memories that will stay with you forever. What advice would you give to young females looking to venture into music and entertainment? Stay positive and inspired, focus on your craft and be yourself. It’s just like anything else you want to do in life, you have to decide you’re going to do it, work really hard and then go. Share your artistry with the world, don’t try to compete with the guys, it won’t impress anybody. Do it because it is fun and personally rewarding. If you act like there is no difference between you and your male counterparts, there most likely won’t be. Do it because it is fun and personally rewarding and try not to think of it as a way to get famous or even make a living. I think that’s really all there is to it. Being in a beautiful place or experiencing something once in a lifetime. DJ Buhle (born Nobuhle Nhlapo from Pimville in Soweto) love for house music goes as far back as the age of 16. She cites fellow female DJs Thobs, Shirley and Lady Lea as early influences. After completing her matric, she started playing in 2004 having been taught by the BFR crew. DJ Buhle’s distinctive style of play incorporates downtempo, soulful house, deep house and captivating broken beats. 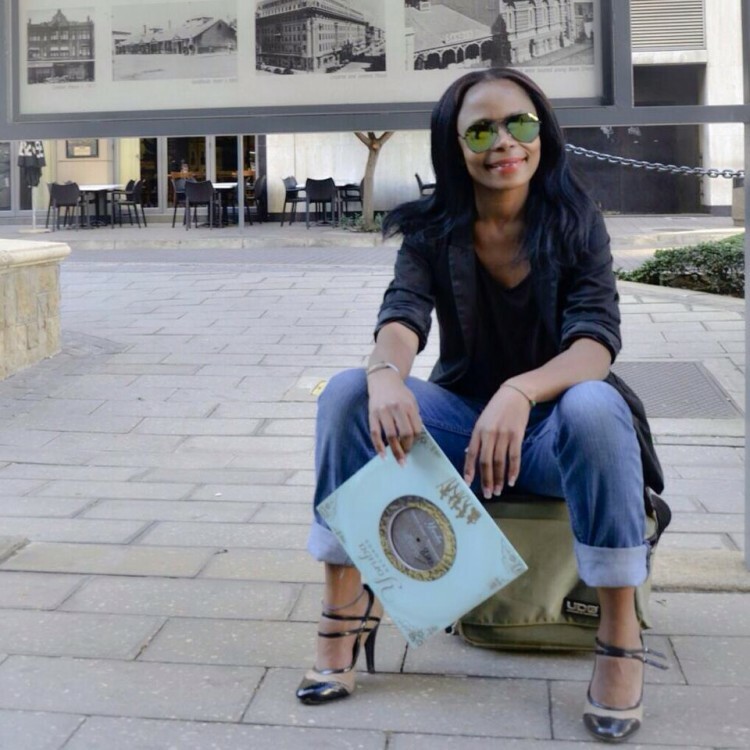 Not your average new school deejay, Buhle possess the ability to play vinyl as well, giving her that cutting edge. How did you fall in love with house music and what was the motive behind you becoming a DJ? I grew up around music and when I saw Thobs on TV, I just thought it’s what I wanted to do, MUSIC. Guys always wanna take advantage. I listened to a lot of radio, 5FM at the time. How hard is it being a female DJ? Do you ever find yourself in situations where promoters or the crowd underestimates you because you are a woman? It’s hard and yes, guys always wanna take advantage but I have had to let my music and skill do the talking. Being persistent and knowing what I wanted also helped them understand I mean business. Lee-Anne Ahrends is certainly no amateur behind the decks. Missred, as she is known within music and entertainment circles, possesses unmistakable talent. 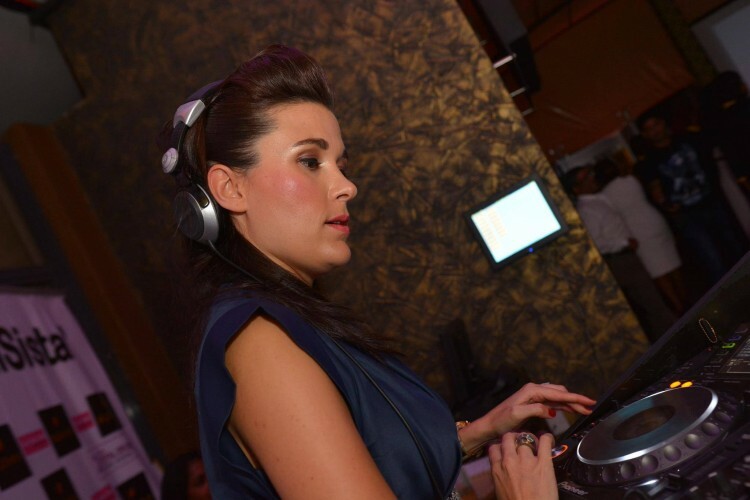 She was part of an all-female DJ group which was founded and run by Lady Lea. Having played in countries such as Namibia and the UK, she has gone on to establish her own DJ school, Missred’s DJ School. With all your travelling exploits, which place has stood out for you? I’ve have had the opportunities to play at places, events and venues alongside artists I once only dreamed of playing at. So to choose one, for me, is impossible. How did being part of Divas on Decks contribute to your journey and do you think more of such initiatives can help increase the influx of female DJs in the industry? It was a huge honour to be part of such an amazing brand alongside such talented female DJs. I’m truly grateful for having have had the opportunity. Working alongside Lea was also very inspiring as I learned so much from her in many ways. I’m truly grateful for having have had the opportunity and would highly recommend it to any young up-and-coming artists. These are just three of the talented DJs on the scene. Look out for our next article on female DJs in SA!